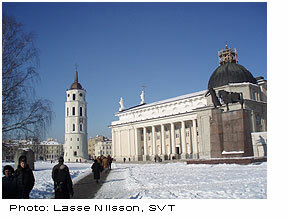 I don´t know if I have a special inclination to attract cold weather when I´m visiting Vilnius. Last time, in the winter of 2007 it was glistering cold winter below -15C with clear blue skies and beautiful white snow. 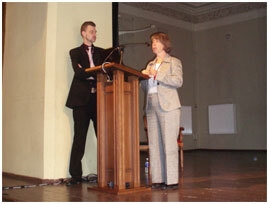 BAAC had it´s first local seminar in Vilnius. It was then I first experienced all the warmth in this country, meeting old and new friends and the hospitality in the contact with the Lithuanians. This time - in October 2009 - the cold weather seemed to be there waiting for me - again. I bought a beautiful scarf in the street market. 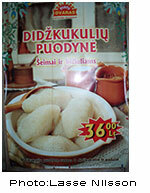 I was prepared beforehand, since I knew what the Lithuanian cuisine could offer to keep you warm. Try the traditional dish "Zeppeliners" - very European, within the "Knödel"-family - and on top, strengthen yourself with some exquisite Lithuanian vodka and some of the local brands of beer. I guess that also played a part in the Lithuanians surviving 50 years of Soviet occupation; the importance of being founded in their heritage of a good kitchen, culture and hospitality. It is easy to be fascinated by the city of Vilnius, its multicultural ambience very much the result of its history and situated where it is on the crossroads of nations in the middle of Europe. 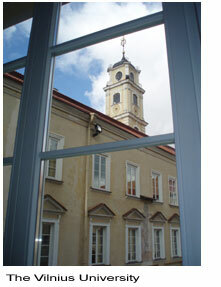 I´m not hired by the Vilnius tourist authority, but I say - Go there and enjoy! Weather and cuisine are important matters, so is the annual BAAC conference. This year, for the first time in Lithuania and Vilnius. The theme this year was, "Aggregation and Management of Audiovisual Content in the Digital Space". With this as the focus, BAAC President Juozas Markauskas opened the conference. In his welcome to the delegates and guests presenting the organization he was especially underlining the interdisciplinary character of it in comparison to fellow audiovisual archival organizations. This more solemn part of the conference, of course, also includes congratulations and greetings by hosts, sponsors, fellow and supporting organizations. In her address to the conference, the Swedish Ambassador to Lithuania Ulrika Cronenberg-Mossberg emphasized the importance of audiovisual archiving in combination with preserving history as pictures, sound and words - not to mention the access aspects. The Norwegian Ambassador to Lithuania, Steinar Gil, in his address, put the emphasis on preservation and archives as an important source of information that particularly requires decision makers of today to seek access to audiovisual archives. Mr. Dalius Žižys, Director of the Lithuanian Central State Archive and representing one of the hosts of this conference, linked the conference to the fact that Vilnius this year is the cultural capital of Europe. The other of this year´s host organizations, the Vilnius University Institute of Library and Information Science, was represented by Dr. Zinaida Manzuch. 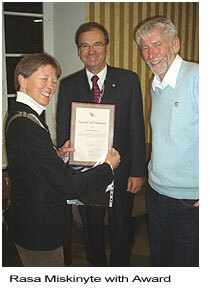 She referred to the 430 year anniversary of Vilnius University and its history as the oldest university in Eastern Europe. 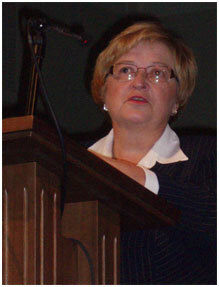 She also emphasized the importance of the conference in developing cooperation between archival institutions. In his greeting address to the conference, Georg Eckes of the Deutsches Filminstitute mentioned the impact of audiovisual archiving on Vilnius this week, since he was here both as a presenter to this conference, and to a special conference for the film archives of Europe. The Norwegian national public broadcaster NRK, as one of the founding organizations of BAAC, conveyed greetings through its former TV-archives manager Tedd Urnes. Board member, and himself one of the "founding fathers and mothers" of the BAAC, Andris Ķesteris gave a short overview of the history of the organization, how it was initiated and formed by a number of audiovisual archive enthusiasts including Piret Noorhani, Reet Harkmaa, Tedd Urnes, Lasse Nilsson, Inga Vilcane and Rasa Miskinyte. 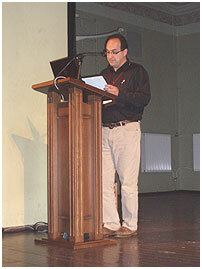 Georg Eckes, Deutsches Filminstitut - DIF, presented "A Gateway to Film Heritage in Europe, "the European Film Gateway". 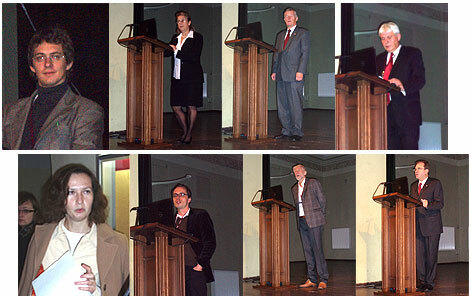 It is an EU-project with 15 countries and 21 partners, coordinated by DIF, and running from 2009 to 2011. 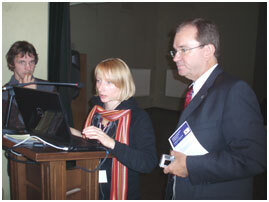 Its origins are in its predecessor "Film Archives Online" within the MIDAS project (2006-2009). The main object is to build a database covering films, photos, posters, sound material and text documents - in all, nearly 800.000 digital objects. 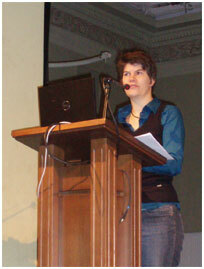 The presentation by Zinaida Manžuch, Vilnius University Institute of Library Science and Information, "Partners in digitization: networking preferences of memory institutions", was based on research within the EU project Numeric which aims at defining the "empirical measures for digitization activities and establishes the current investment in digitization and the progress being made by Europe's cultural institutions..." (http://www.numeric.ws). Zinaida Manzuch´s work was to especially analyze collaborative networks developed by memory institutions, to determine collaboration patterns and to seek answers to such questions as, "What is networking and why should we care?". Some of the conclusions were that Archives, Libraries and Museum were more interested in sharing resources than developing new services! According to the conference programme, Ms. Manzuch was to have been followed by Marco Rendina, EUScreen, Italy and his presentation "Exploring Europe´s Television Heritage in changing contexts". However, he sent his regrets that he would be unable to attend due to unforseen circumstances. Baiba Zvaigzne of the National Library of Latvia (NLL) participated with her presentation, "Experience of Internet Archiving in the National Library of Latvia". Most assuredly, a large portion of the audience listened extra attentively, since this is a fairly new working field for audiovisual archives to deal with. Since it is so new, it contains both pitfalls and problems in methods, selection criteria and technical solutions. In the Latvian case, the backbone is their legal deposit law that defines it as the responsibility of the NLL to collect and archive nationwide publications, including electronic resources. The archiving approach is guided by the collection development policy of the NLL, using a number of software tools like, "The Web Curator Tool/Heritrix", "WERA/NutchWAX" and "Wayback Machine". The presence of these software tools is a good indicator of the intense development this area of audiovisual archiving has been going through. Especially interesting to take part in, were the selection criteria discussions, not the least of which, making decisions on what not to include. Definitely an area of the archivist's primary concern! Starting out in 2005, with 30 websites, the NLL is today harvesting 3000/~1 Tb. I think all were keen on getting behind the intriguing heading of the Andris Ķesteris, Library and Archives Canada (LAC) presentation, "Creating Critical Mass: Genesis of a Diaspora Collection". Andris started out in the new strategies for Library and Archives Canada where multicultural acquisitions were identified as a "key direction" within LAC's current Collection Development Framework. Archivists are therefore encouraged to acquire fonds that reflect Canada's multicultural society, making LAC collections relevant to a greater number of Canadians. The concepts of "ethnocultural" organizations and individuals are defined by what is being documented in ethnocultural fonds: the immigrant experience, the process of integrating into Canadian society, what may document the endurance of ethnocultural identity through subsequent generations, and also the experience of discrimination or adversity in Canada due to cultural/ethnic origin. These strategies also focus on the preservation of archival material by ethnocultural communities, since preservation tends to place a large financial burden on community organizations and their records. Another problem, in the present situation, is creating and maintaining proper archival holdings within communities with rapidly changing demographics. That also includes the discussion on "repatriation" of archives to the old home countries, especially relevant to the Baltic immigrants after the end of the Soviet occupation. A challenge for the LAC film and broadcasting section will be to develop an acquisition strategy for the increasing amount of moving image and sound records being produced and distributed through the internet. (e.g. YouTube, Facebook, web broadcasting). http://www.balther.net - plays an important role and the users represent a wide range of interests, from memory institutions, academic researchers and students, to descendants of Baltic emigrants. The number of visits, as well as pageviews and time on site, is constantly rising. The most visited page is, not surprisingly, the opening page in English and the most frequent visitors (on a sliding scale) come from Estonia, North America and the rest of Europe. 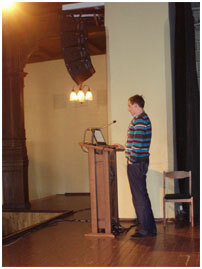 Eero Kangor, Tartu University, Estonia, returned to his discussion from the Tartu conference 2008 on digitizing a 20th century photo collection at the university. The heading was, "Using D-Space for Publishing Photographs. A case study". The collection was started between the wars, at the department of art history, closed in 1950, and survived 50 years of Soviet occupation. Since it was moved several times during the years, the catalogue had disappeared. The collection was re-catalogued in 2005-2008 and digitization of it started in 2008 (so far 4000 items). For managing the project, "D-Space" has been used. This is an open source software package that provides the tools for management of digital assets, and is commonly used as the basis for an institutional repository. It supports a wide variety of data. This software is also intended as a platform for digital preservation activities. As special obstacles in the process, EK mentioned both technical obsolescence and the active use of the collection. The afternoon session was really an Adam Dudczak-show, a show in the very best sense of the word, since he really managed to catch the interest of the audience (after the lunch break) with both a knowledgeable and pedagogical presentation, and a tutorial on the same theme. Mr. Dudczak, representing the Poznan Supercomputing and Networking Center in Poland, talked on "Large-scale aggregation of digital content from distributed digital libraries in Poland", and a "Tutorial about creation of National Aggregating Services". It was most impressive to follow the work on "federating" digital libraries on both regional and institutional levels in Poland. Looking at figures, they represented 280.000 digital objects, 19 regional and 22 institutional active digital libraries and more than 200 cooperating institutions. Receptions and other less formal opportunities to meet old and new friends among the delegates should not be underestimated. Apart from getting something to nibble on and a drink or two, it gives you a chance to ask a presenter that question you didn´t get time for during a plenary session. Or, you finally get a chance to talk to people you have been trying to get in touch with for a long time. Pekka Gronow (new election), Finnish Institute of Recorded Sound. Despite the notably low degree of representation by the largest audiovisual archives, those of the broadcasting organizations, it should also be noted that the candidates for all the offices were unanimously elected. Also notable, is the pronounced wish by the membership and the resigning board that the role of the two Vice Presidents of BAAC should include a more active role in developing membership activities within the geographical areas they represent. As part of their "extended responsibility", there should be individual reports to the General Meeting. Of course, a main attraction of a GM is the announcement of next year´s venue for the BAAC Conference. Latvian Television has kindly offered to host it at their premises in Riga. Proposals for the programme and calls for papers will be published on the BAAC homepage. 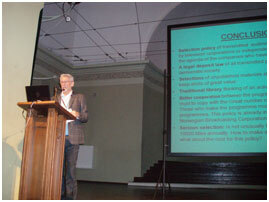 The Conference was reconvened with session 4 and a presentation by Jonas Korys, Lithuanian National Radio and Television, "Towards the digital archive of a national broadcaster". As for most of us, in his archives were noted the accelerated deterioration of tapes and other carriers, whether old obsolete formats as ¼ inch and other analogue formats, or more recent digital DATs or CDs. Not to forget, the development of catalogues from old ones on card to computerized solutions. It was interesting to get an overview of the LNRT approach to digitization of its collections, pitfalls in the process, dealing with five different catalogue systems still in use for the supporting metadata. For the latter, they are eagerly waiting for EBU standards on description. Gunnel Jönsson & Jonas Andersson of SRF, a service provider jointly owned by the national public service broadcasters in Sweden, tried a little bit of provocation by presenting "Building an archive for the future. Is it possible? And how can it be done?" as the heading of their presentation. Maybe the Swedish migration scene isn´t so very different from the Lithuanian, even though they started with wax cylinders in depicting their background and the number of items to be digitized (more than 500.000 records of all formats, 215.000 radio programmes on analogue and digital formats etc.). Of notable interest, was their description of mapping for a pre-study and the questions it raised: Do nothing - loose content/Do all - fall on costs/Do something - be forced to prioritize. Not surprisingly, they ended up on the last option with this list: 1. DATs, 2. Analogue tapes, 3. New CDs, 4. Old CDs. All the 1000 wax cylinders had already been digitized. How come sports always attract such attention - even among audiovisual archivists on a conference? The expectant murmur in the venerable university conference hall I judged as a mixture of interest in sports and all the novelties in archiving of tapeless broadcasts as presented by Sofie Kjerfve, Sveriges Television (SVT), Sweden. The title was "Sports tapeless environment from a metadata and archiving perspective". She accounted for changes in workflow, especially over the last two years at SVT sport and during the last decade at SVT in general. Before, the archivist did all the archiving work post-broadcast. In 2001, the news and sports departments made "the big leap" to production becoming tapeless. In 2007, the rest of SVT followed suit by becoming fully digitized. The archiving process is, in most of the projects, complete before publication. Then the program is ready to be published at any platform. It is easy to understand the benefits of a workflow where video files are safely stored on a server, the information is entered only once and shared, and the program is ready to publish at any platform, at any time! It is also easy to understand the benefits for a department like Sports, with a mixture of news and events and many hours of live broadcasting. An obvious example was the latest Olympic Games, generating approx. 500 hours of broadcasting - with correct metadata at once! Pekka Gronow, Finnish Institute of Recorded Sound accounted for the fascinating story, "The Lindström Project: Lindström in the Baltic Countries". Apart from being still another story about the closely linked commercial and cultural history of the countries around the Baltic, it is a good example of "reconstructive audiovisual archaeology". 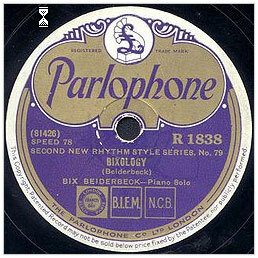 The inventor, Carl Lindström, of Swedish origin, developed his Berlin-based company into one of the most dominating in the gramophone manufacturing and recording industry. 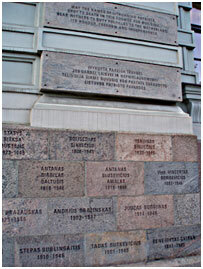 Starting out as early as 1904, his company was active in most of the Northern European capitals. In the process, he acquired several existing companies and labels on five continents, like Odeon, Parlophone. In the 30ies it became a part of EMI. Much of this production is now lost and scattered, as well as the documentation of it, however, this project has managed to reconstruct the activities of this company on the basis of many sources. Heiki Männik, from the Estonian Public Broadcasting Corp., in his presentation, "Copyright and Digitization", put the light on two important areas in audiovisual archiving stemming from the fall of the Soviet political system and the digital leap in television technology. Concerning copyright, the countries under the former Soviet occupation have to deal with the lack of copyright rules pertaining to productions from that period, especially artist´s copyrights and "droit moral", which was not acknowledged by the regime. It was also interesting that he gave word to the fact that broadcasters all over the world, using archive material, are constantly violating this "droit moral" by "filling" the screens of the new 16:9 format. He gave several examples of this severe encroachment in other creators' work that we are confronted with daily, by cropping, panning, tilting or zooming. How many have been approached for an OK of this, ex-Soviet creators or not? Taavi Tatsi & Pille Runnel, Estonian National Museum, "Documenting Estonian everyday life in Estonia. An archive-generating model." Their presentation was dealing with reuse aspects in audiovisual archiving, just as much as creating/producing new content for the archives. Still another different and new aspect on audiovisual archiving was presented by Vahur Puik, Tallinn University, under the heading, "A useful game -rephotographing historic views from public collections". You could also call his way of tackling the concept of "location awareness" - which is crucial in documenting of both stills and moving images - apart from "rephotographing " (re-peatphotography), as a way of reversing history or keeping track of the history of a certain place. 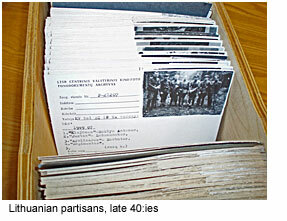 Vahur gave an example, by choosing old photos lacking descriptive metadata. it is possible today, using social media, where people use digital cameras and gps to harvest metadata on the original photo, and the development of the actual location, through new stills and geographical data. People get an opportunity to contribute to memory institutions. Aldis Putelis, Institute of literature and folklore, Latvia, and his presentation, "Digitization of intangible heritage material", served us with some archive philosophical input on what happens when a wider audience gets access rights to audiovisual collections. Tedd Urnes, Teddview, Norway, talked on a theme that he has returned to several times in conferences on audiovisual archiving: "Media Archaeology: A critical approach to the policy of active reusing of archival footage in audiovisual archives worldwide". Apart from preservation of and access to collections, the re-use issues should be of primary concern to any audiovisual archivist. He has especially studied the frequent use of archive footage in fiction films and the lack of accuracy with which it often is done. This is not to mention the problems when archive footage used is fake from the beginning - without the secondary user knowing it. A famous example is the WW1 fighting scenes from the Battle of Somme, actually shot at a training camp in the south of England (during the war). Tedd´s favorite example of the popular use of archive footage in war films is American dive-bombers! representing the Japanese in the attack on Pearl Harbour 1941. The production is the American movie, "From Here to Eternity" (1953) by director Fred Zinneman. As a recent example of using archive footage, he mentions director Stephen Frears´ "The Queen" (2006). Check his paper for a long list of examples. One of the many ambitious projects under the EU umbrella, "Europeana", was presented by Aubery Escande, European digital library foundation, the Netherlands. 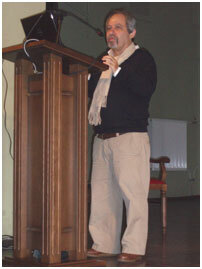 He had called his presentation "Europeana - think culture". Probably both accurate and not at all exaggerated - as an EU initiative in this area, since it is aimed at being the European aggregator for cultural institutions, and its content objectives, digitizing European content. His overview highlighted examples of institutional and European support, value-added services, integration of cultural knowledge and partnerships across domains. Following the presentations, he gave still other good examples of what was included. 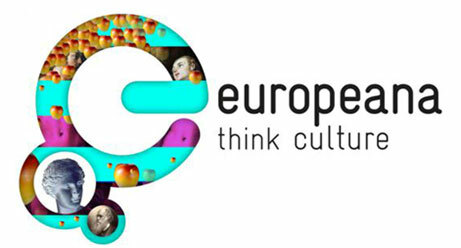 To further grasp the visionary scope of this project in creating access to European cultural heritage, check out the website: http://www.europeana.eu/portal/ . 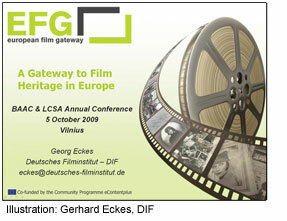 See also Georg Eckes´ presentation at the beginning of this conference on the EFG - European Film Gateway. 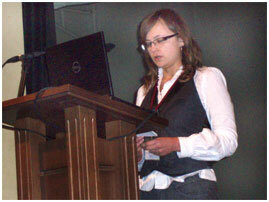 Valerija Jusevisčiūtė, Lithuanian Central State Archive, gave her presentation the heading, "Audiovisual documents of the Lithuanian central state archive internetwards: Actual practice in seeking "balance" between preservation and access". 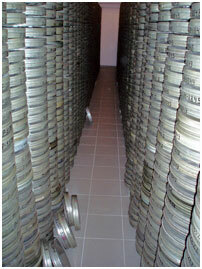 Her archive is one of the partners of Filmarchives online, with more than 42.000 cans to be accessed in the future. The number of digital born audiovisual documents is increasing logarithmically. The digital content of LCSA is now 40%, which is also reflected in the number of copy requests. The digital outnumbered the analog already in 2003. LCSA participates in the above mentioned EU projects, MIDAS and EFG. That means, among other things, that 1300 newsreel titles from the former "Soviet Lithuania" are retrievable. We see the first steps in creating a national virtual film library. 15 hours of the so far digitized collection will be accessible for the national and international community. 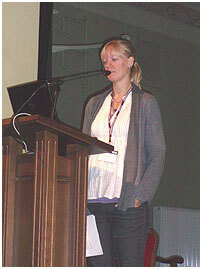 Aušra Duobienė, General Director of Lietuvos Kinas presentation, "Lietuvos Kinas, Lithuanian film fund in international and local cultural activity", was the story of a unique state owned organization for distribution of film within Soviet occupied Lithuania. Unique, since it is still alive after 65 years of operation and filling an important role in film distribution - competing with such mighty rivals as commercial television and the internet. Founded as distributor of film from the other Soviet states and socialist countries, these producers provided 80% of the avaible films. Today the company is self-financed and apart from distribution on filmbase, digital film shows are increasing. A part of its activities is also the marketing of Baltic films in festivals abroad, where the cooperation between the Balt countries is important. Tedd Urnes (TU), Teddview, Norway, "Selection policy of audiovisual archives - comments only". There are obviously differences in the conception of the word "selection". TU started out though with straightening out the many question marks for us. 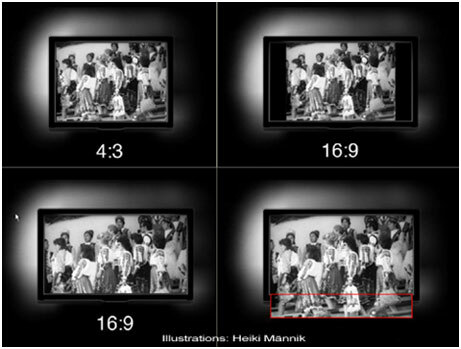 Is selection in the field of audiovisual archiving equal to some quality aspect of the items? he wanted to ask. And who are the selectors? Professionally, and through history, it has been the delicate work of librarians, with or without sufficient training, and influenced by their personal values - which of course also reflects the values of the society in which they function. For certain periods in history, "selection" has been very hands on and often very harsh, depending on rulers of the time who have either burned the information carriers of unwanted content like books or films, or locked them in secret vaults. The point of TU's discussion on broadcast radio and television material in particular, is that throughout history, too much valuable content has been wiped through pure arrogance by both decision makers and archive people. The hope today is the emergence of both an awareness of the value of this material and legal deposit laws.TU's final conclusion was that selection should be forwarded to history. As always, with a large conference like this, there are always some "goodies" in the form of professional tours in the end. This year, we were privileged to experience the 430 anniversary, celebrating Vilnius University Library and the Lithuanian Central State Archive. Since it is "The International Year of Astronomy 2009" - a UNESCO initiative - the university library exhibited its most valuable printed works and maps together with beautiful astronomical instruments of ancient times. It was displayed in the most beautiful room of the library and probably of the university. The number one item of their collections displayed here was of course, one out of four still existing first editions of Copernicus´, "De revolutionibus orbium coelestium" (On the Revolutions of the Heavenly Spheres. 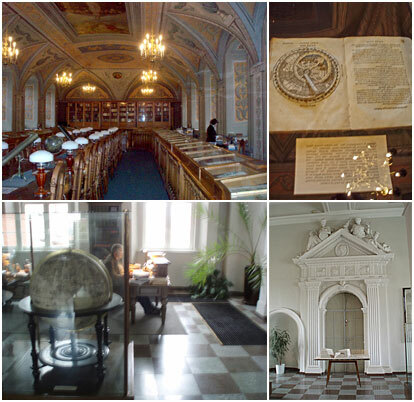 We were also shown the room with the display of a collection of old astronomical and geographical instruments. This room was used as a study by students and professors. Some fascinating place! A fascinating place was the Lithuanian Central State Archive (LCSA), covering many kinds of media in their collections, including documents from the rising free Republic of Lithuania 1919-1939, the occupation periods by Poland of the southeast, the Nazi and the Soviet occupations during the war, and the postwar Soviet period until 1990. The film collections are extensive, covering a timeline from 1920-1990. The video document collections started in 1988 and cover the important liberation period and restoration of independence. In the stills photo collections you can find KGB documentation of the unyielding guerilla warfare against the Soviets that did not end until the mid-50s. 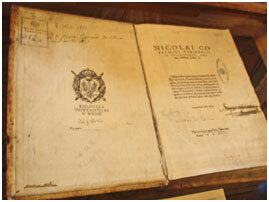 Impressive to see was also the work of the LCSA preservation and restoration department. 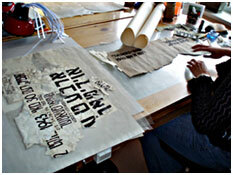 A poster from the Jewish ghetto in Vilnius emerged from delicate fragments in the gentle hands of the restorer. If you want to dig deeper into recent Lithuanian history, I would recommend a visit to the KGB museum, or the proper name: Genocide Victims Museum. It is housed in the former KGB headquarters and was originally set up by the Nazis at the beginning of WW2. In the exhibitions, you find splendid panoramic shows of the various horrifying stages of the war and post-war history, complete with small cells, torture chambers and the execution room at the bottom of the building. They are real! There are also rooms commemorating the partisan war against the Soviets. Engraved in the walls outside, facing the street, you find the names of all the unfortunate who were murdered in this building. It is important for memory institutions to forcefully remind us of what totalitarian systems can create in human beings - victims, executioners, sympathizers and passive lookers-on. /Lasse Nilsson, SVT, November 2009.